“5 Features of Blended Environments and More Q&A” was originally published by Tom Vander Ark on Getting Smart. Ken Royal posts a regular podcast for Scholastic. I did a short podcast for Ken and he posted it today. Here are the notes to the podcast. Tell me a little about Getting Smart, the book. When was it released? Getting Smart was released on October 2011 at Excellence in Action National Summit hosted by the Foundation for Excellence in Education. What was your inspiration behind the book? The first inspiration was watching my daughter’s fourth grade in Mr. Weisman’s classroom in 1994 (the year the web exploded). He created an engaging and personalized environment featuring projects and helped the kids make great use of one computer for every two students. Disrupting Class made the case for change but it was time for more color commentary on how the shift to personal digital learning will take place. Who do you hope reads it? The book was written for educators and parents—anyone that cares about education and where it’s headed. What do you hope is the greatest takeaway from reading it? 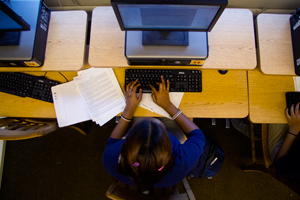 How do you envision personal digital learning changing the classroom? School staffing leverages the knowledge and skill of master teachers supplemented by junior staff and remote teachers and tutors (a differentiated and distributed staffing model). Many students will have a longer day and will experience more varied learning experiences. Many teachers will teach in teams led by as lead teacher and supported by para-professionals and occasionally by remote teachers (particularly for special needs and advanced subjects). 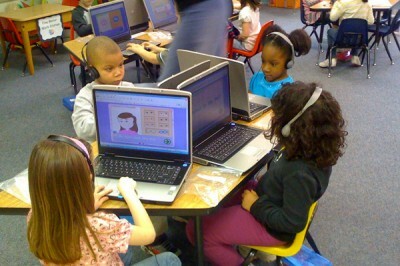 What do you think is the most positive effect of technology in classrooms today? Today the positive effect may be technology use outside the classroom—access to search, video tutorials, and productivity tools. Soon, the most productive benefit from learning technology will be the instant feedback that teachers and students get from embedded assessment. You blog regularly at Getting Smart, what do you hope your readers get out of the blog? We’re trying to create a community interested in innovations in learning. We hope the conversation accelerates and enhances the shift to personal digital learning. For a longer Q&A, see The Education World is Flat, a long interview published in Psychology Today. Tom Vander Ark (@tvanderark) of @Getting_Smart discusses blended learning and digital education choices for parents and students as part of CER’s series of webinars celebrating National School Choice Week 2011. Tom is author of Getting Smart: How Digital Learning is Changing the World and founder of GettingSmart.com. Tom is also CEO of Open Education Solutions and a partner in Learn Capital, a venture capital firm investing in learning content, platforms, and services with the goal of transforming educational engagement, access, and effectiveness.